Make a splash in our crystal-blue, heated swimming pool or soak tired muscles in our bubbling whirlpool at Best Western’s Sarasota Hotel! Popular restaurants, ample shopping, and white-sand beaches surround our Siesta Key hotel. Your stay will be complemented by our knowledgeable, friendly staff that can make reservations for you or give you directions. At Best Western – Siesta Key we strive to set a high standard for Siesta Key accommodations by offering a variety of lodging options to better suit your needs. Check-in is at 4 pm and check-out is at 11 am. The King room with sofabed offers a view of our garden or pool. Each guest room includes one king bed, sofa sleeper/seating area with coffee table, 42″ flat screen television with an extensive HD channel lineup, refrigerator, microwave, coffeemaker, iron and board, hairdryer and wireless internet. Maximum occupancy is three people per suite. We offer rooms with one king bed or two double beds. These rooms can be located either poolside or parking lot side of the hotel depending upon your preference. 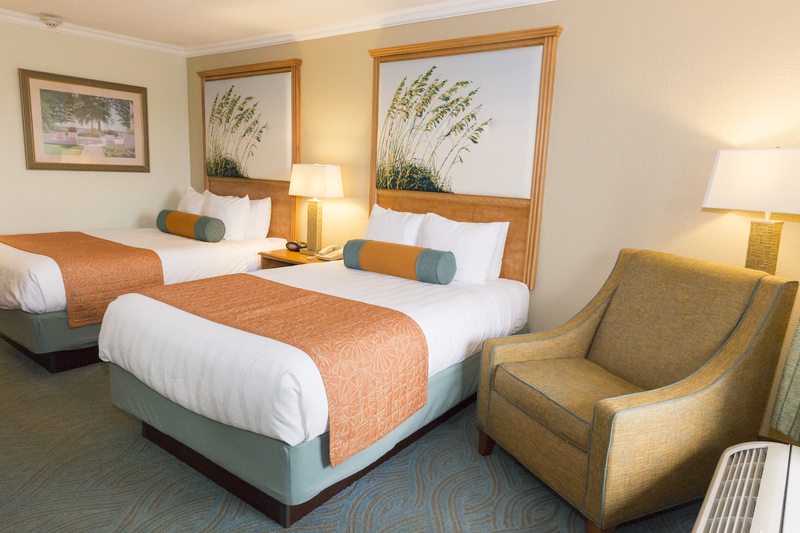 All regular guest rooms include wireless internet, refrigerator, microwave, coffeemaker, 42″ flat screens with an extensive HD channel lineup, iron, ironing board and hairdryer. Maximum occupancy is four people per two double bed guest room and two people in a king room. Rollaway beds available in king bedded rooms only for $10 per night. These suites have a living room with a queen size sofa sleeper (sleeps 2 small children or 1 adult), two restrooms, two 42″ flat screen televisions with an extensive HD channel lineup, dinette, refrigerator, microwave, iron and board, hairdryer and a separate bedroom with a king bed. Maximum occupancy is four per suite and are available both poolside and cityside. These suites are perfect for an extended stay! Sorry, pets are not permitted in the guestrooms or on the property.